Nestled in the heart of Southern California, San Diego is a popular locale that has a hiking trail for everyone. 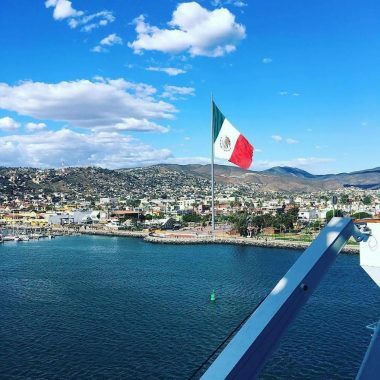 A centerpoint that caters to many different interests, this gem of a town has geography that consists of diverse backcountry ranging from gorgeous beaches, to palm oases, mixed conifer forests, to mountain peaks blanketed in chaparral, that all changes all in a matter of hours. For those of you that are looking for more than just hitting up the sandy beach in San Diego and calling it a vacation, consider lacing up your hiking boots and exploring this hoppin’ respite of the world, beyond the city’s seemingly industrialized coastline. Whether you’re searching for one of the hidden hiking trails San Diego offers in Winter, or wanting to find some hiking trails in San Diego with waterfall action in Summer, check out this list of 8 blissful hikes you’ll be sure to enjoy any season of the year. 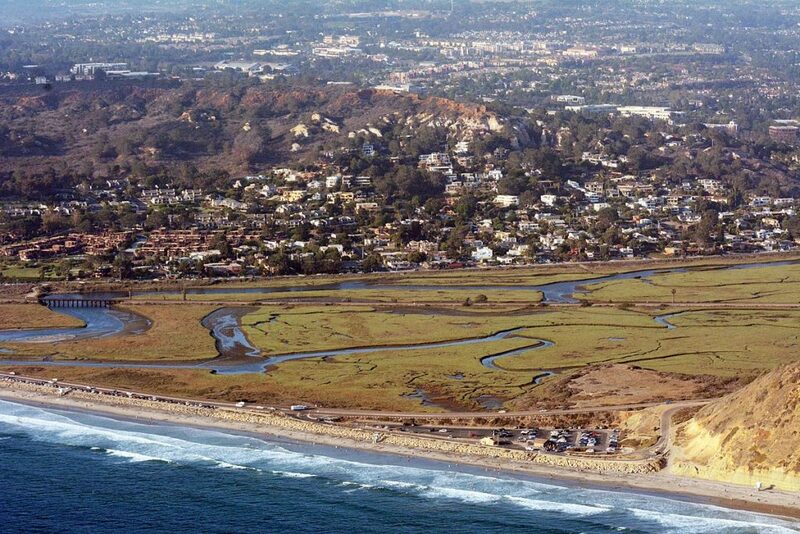 Sandwiched between Solano Beach and the city of Encinitas, San Elijo Lagoon stretches for more than one thousand acres, and is one of San Diego’s largest coastal wetlands – featuring eight hiking trails that are perfect if you’re planning a day trip to the charming seaside village of Del Mar. With breathtaking views that abound from Highway 101, you’ll surely start to fall in love with this hiking option when you see the powerful and awe-inspiring ocean waves during the drive. Del Mar is home to some of the most beautiful hiking trails in San Diego, with more than seven hundred plant and animal species along the way. Remember to bring your camera to capture snapshots of the endemic California plant species you won’t see anywhere else, as well as insects and critters you might spot such as the velvet ant, San Diego alligator lizard, and the anise swallowtail butterfly. If you’re a biker, runner, photographer, hiking enthusiast, or someone that simply loves to be out in nature, hiking San Diego Ca San Elijo may be for you. For those of you browsing for San Diego hiking tours, complimentary hikes are led by a naturalist here on Saturdays from 10-11:30am. Meet at the San Elijo Lagoon Nature Center if you’re interested, as this is the starting point. Directions: To arrive to the San Elijo beach area, follow Highway 101 to I-5. Exit I-5 at Encinitas Blvd., continue West. Make a left on So. Coast Hwy, and follow the Coast Hwy South for 2 miles. From here, you’ll spot potential hiking trails. 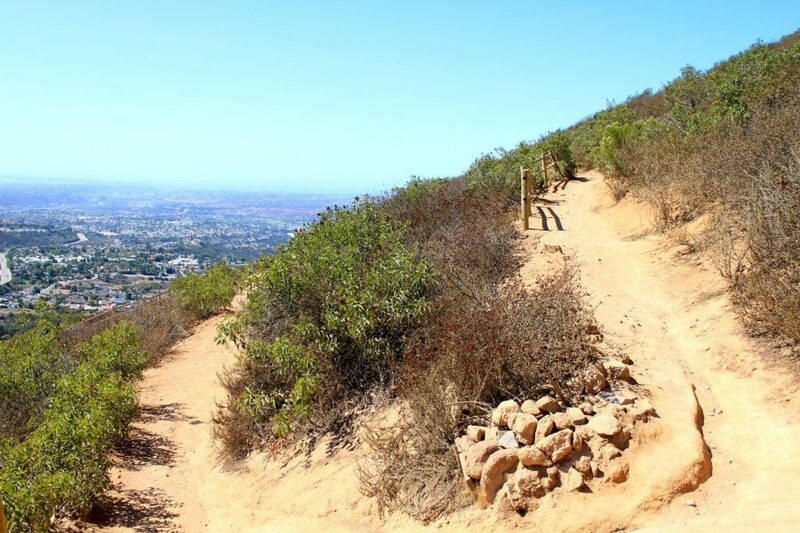 The Southernmost peak that separates the city of Poway from Ramona (a partly rural community)- Iron Mountain, is one of the most popular trails for hiking San Diego. You might want to heat a hearty breakfast before embarking on this San Diego hike. There is an elevation gain of 1,000 feet on this, but it’s not too challenging if you climb at a leisurely pace. What’s special about this trail is that it’s not too easy, and not too difficult (the switchbacks are mild). Just go at your own pace. 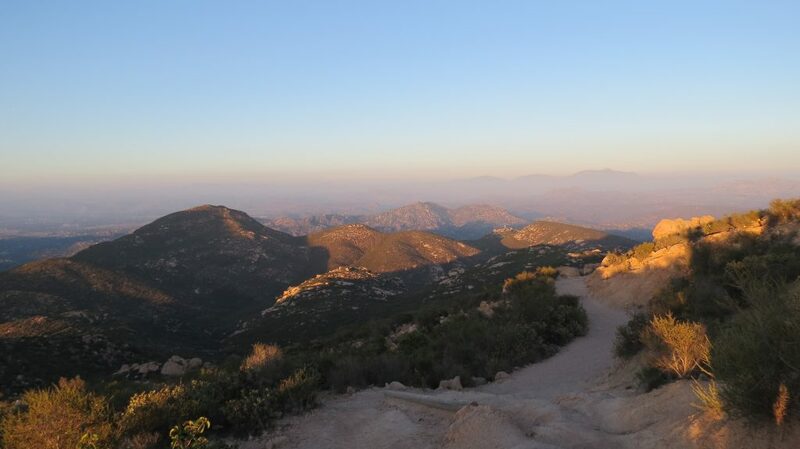 Iron Mountain features lovely panoramic views, fragrant chaparral, oversized orb-like granite boulders, and a potential breathtaking array of wildflowers along the trails depending on if there was a decent Winter rain. If you decide to conquer this mountain during the Summer, know that temperatures can reach the triple-digits, so bring plenty of liquid fuel- if you get the drift! When you reach the top of the summit, you may want to rest for a bit at the bench while gazing out at the magnificent views of all of San Diego, Mission Bay, Seaworld theme park, and Point Loma. After you’ve replenished with all your elixirs, you might decide to begin your descent. If you are looking into hiking San Diego trails and are up for a workout, first ask yourself if you are an experienced hiker. If the answer is yes, consider the “Ellie Lane” route, which is 9 miles long. It’s a hefty amount of gain, and not for the faint of heart. Reaching 1,592 feet, Cowles Mountain is one of the most popular hikes for those interested in hiking San Diego, for its easy access to lovely panoramic views. This excursion presents steep switchbacks that lead to the highest points in San Diego, but do keep your eyes peeled for slithery snake activity. Despite the most common trailhead (Golfcrest Drive Trailhead) being a mere one and a half mile hike, the elevation increase of 950 feet gives the illusion that it’s longer. It takes about forty-five minutes to hike to the top, where you can see downtown San Diego all the way to Tijuana, Mexico, on a day with clear skies. It’s not every day you have the chance to go on a hike and view a city in another country! Hiking San Diego Cowles Mountain would surely be a sight to see, and make for a good story. If you would like to find a buddy to explore with you, check out meetup hiking San Diego, a site that helps connect people that are interested in hiking San Diego North country. Directions: Take I-8 to College Ave. exit, then proceed North on College Ave to Navajo Rd. Make a right and continue down Navajo Rd. to Golfcrest Drive. Make a left on Golfcrest and voilá- you’re there! Cuyamaca Rancho State Park, one of the San Diego hiking parks with more than a hundred miles of hiking trails, is an unforgettable spot if you’re considering hiking near San Diego. This San Diego haven situated forty miles East of the city features 26,000 acres of fir, pine, and oak coves, waterfalls, open meadows, and flowing streams for you to explore. A spectacle not to be missed – 6,500-foot Cuyamaca Peak is sort of the geographic center of San Diego, where the vistas range for one hundred miles in every direction. One particularly special trail in this giant complex is the Stonewall Mine Trail, which features an exhibit of a former gold mine – a great trail for children and adults alike. It’s short and sweet at just .6 miles long, and has wonderful views of Lake Cuyamaca. 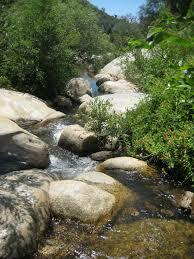 So, if you’re wondering where to hike San Diego, Cuyamaca hiking trail San Diego has endless options for fun. And, know that there are plenty of campsites if you decide you want to set up your tent for the night and stargaze. 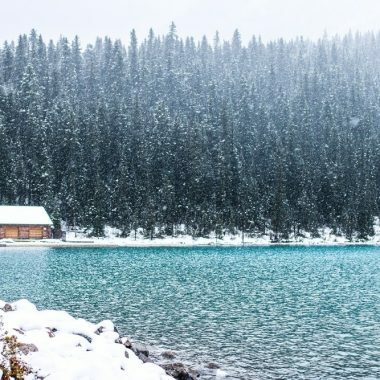 If you come during Winter, expect snow – just not enough to go on snowmobiling or snowshoe adventures. If you have a week in San Diego, you could spend multiple days exploring the many trails this state park has to offer. Directions: Located on Highway 79, five miles North of I-8. One of the San Diego hiking trails with waterfalls, the Three Sisters Falls hike highlights incredible views, with a three-tiered waterfall, if you’re looking to go hiking near Julian, San Diego. This one is more suited for experienced hikers, as it has an elevation gain of a little over 1,000 feet, but if you feel in-shape enough to tackle it – by all means, go for it! Just know there are some steep sections, and that it can start sizzlin’ in Summer – so remember to bring a water supply. If you decide to go hiking in San Diego with dogs, it’s recommended to start this hike earlier in the day, as there is not much shade cover and the ground can heat up quickly – which might be a bit much for the pups! Directions: The 3 Sisters hike Sand Diego directions are easy peasy! Starting from Julian, head West on Highway 79. Make a left on Pine Hills, a right on Eagle Peak, and a final left turn onto Boulder Creek Rd, which turns into a dirt road. With over forty miles of trails, Mission Trails Regional Park is a sight to see if you’re hiking near San Diego, or are in San Diego County. If you’re wondering where to hike San Diego territory and still want to be close to the city, this state park is a short eight miles from downtown San Diego. One of the largest urban parks in the nation, Mission Trails Park is home to an abundant number of bird species, two lakes, the Old Mission dam, and features the San Diego river streaming through sections of it. Oak Canyon Trail is one of the more popular trails at this state park, for its sycamore and oak tree-lined path that leads you past a peaceful streamlet and tapers off down into a canyon. Hiking San Diego can be great fun, with seemingly infinite tracks to wander throughout these mission trails. Directions: Follow I-8 to Mission Gorge Rd. Continue for 4 miles until you see the entrance. 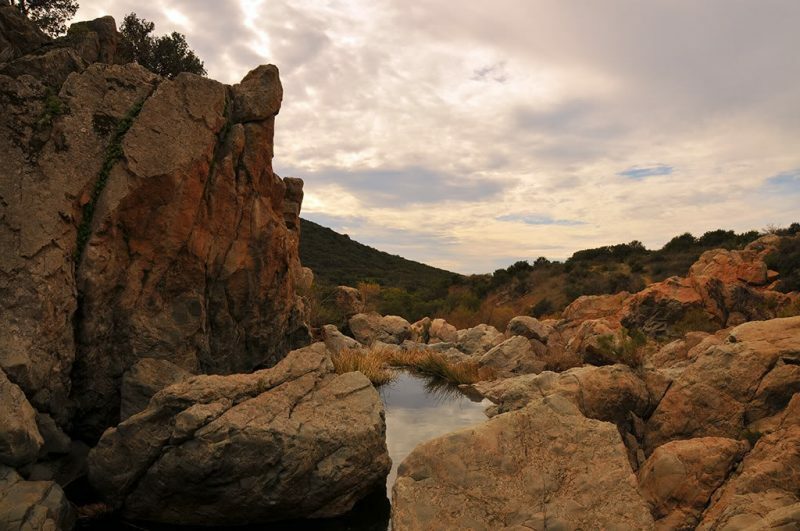 Los Peñasquitos Canyon covers 3,700 acres that exhudes much biodiversity – with over five hundred plant species, more than one hundred and seventy-five bird species, and countless other mammals and amphibians, this hikers haven boasts twelve miles of trails. Highlights of the terrain include a waterfall cascading through volcanic rock, enormous California oak groves, and a freshwater marsh with aquatic birds like the blue heron and mallard ducks, with thick riparian vegetation that’s so lush you’d think you’re near the Amazon. The length of the canyon stretches for miles from Penasquitos lagoon to I-15 at Knott Grove. For those of you interested in a six-mile hike, San Diego offers a 6.2-mile loop here at Los Peñasquitos. If you want to make the hike longer, you have that option, too, by heading down one of the trails that branches off. The Native American history within the canyon dates back to 7,000 years ago, so soak in all that ancient knowledge as you’re hiking San Diego. Directions: From I-15, take the Mercy Rd. exit. Make a left on Mercy Rd, and follow it for 1.4 miles. Turn right onto Black Mountain Rd. After .2 miles, turn left into Canyonside Park, where you can find the trailhead in the southwest nook of the parking lot. Difficulty: Easy, beginners can do this. Designed to preserve the rare Torrey Pine tree (the smallest distribution of pine tree on the planet! ), Torrey Pines State Natural Reserve hiking San Diego features eight spectacular and different trails that cater to every hikers needs. 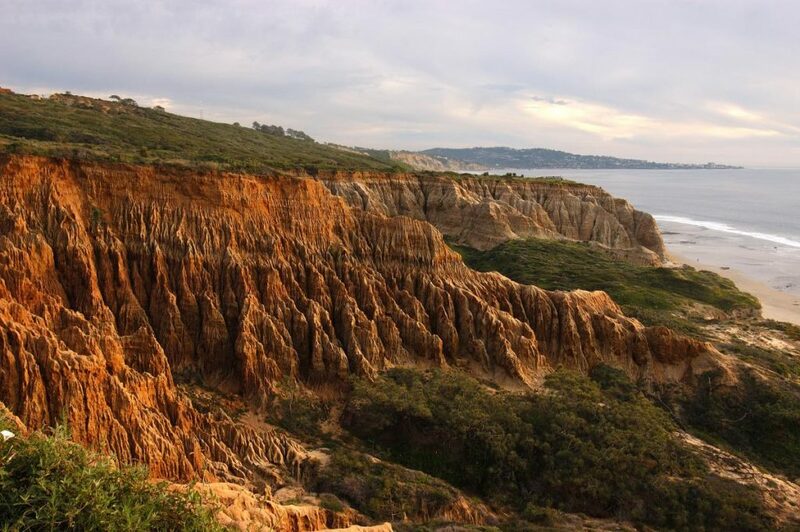 From the paths, you can gaze up at the Torrey pines, sandstone bluffs, and at the impressive geology of the cliffs towering over the cerulean Pacific seas. The reserve does connect to Torrey Pine State Beach, if you’re interested in hiking San Diego coast and getting some sand in between your toes. In Wintertime, you may be lucky enough to spot gray whales or bottlenose dolphins, for you wildlife-lovers. So, if you’re looking for one of the more picturesque hiking trails in La Jolla San Diego, consider Torrey Pine State Park. Directions: You can find this state park by taking Hwy 5 to Carmel Valley Road, head West to Camino del Mar and continue South one mile to the entrance at the foot of the hill.